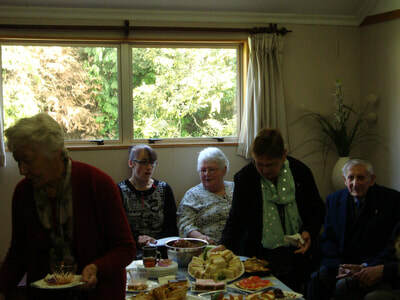 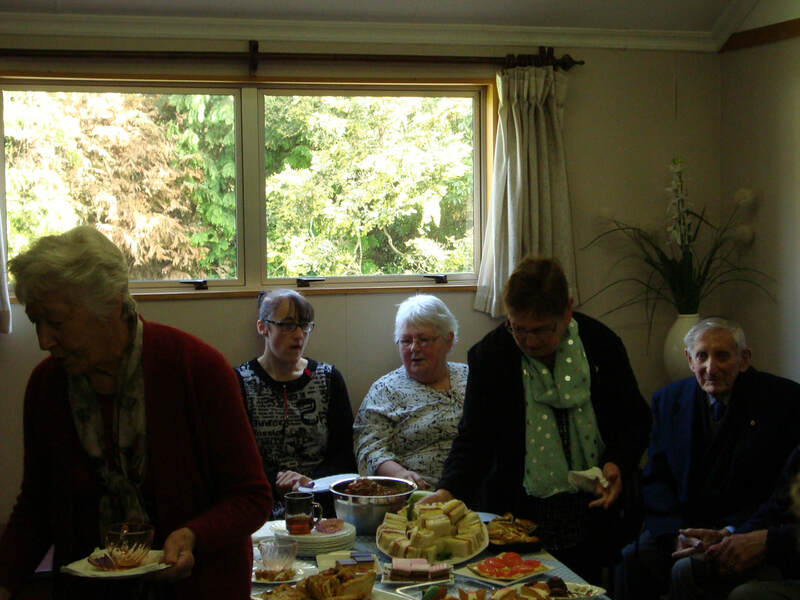 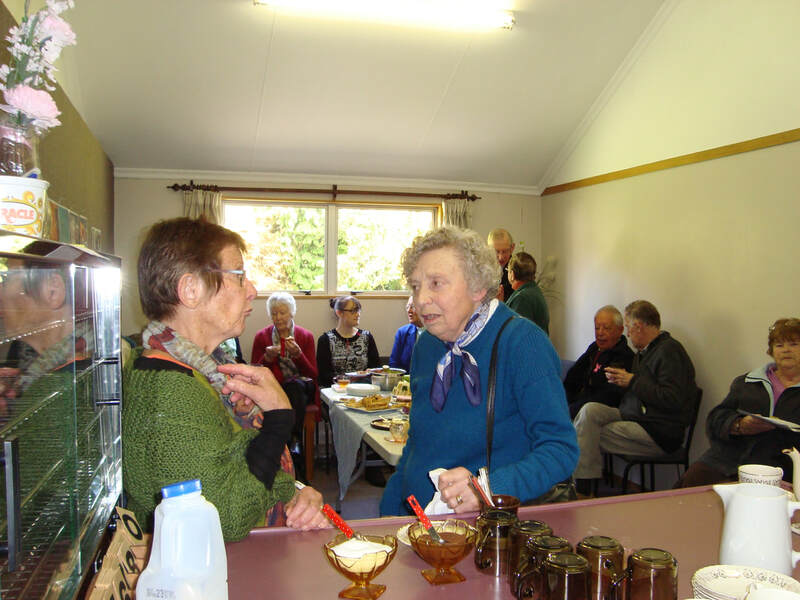 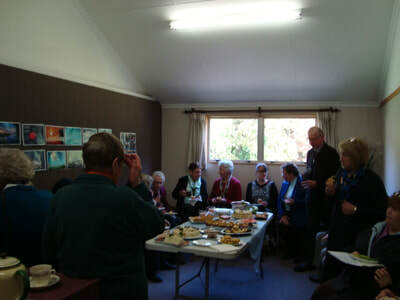 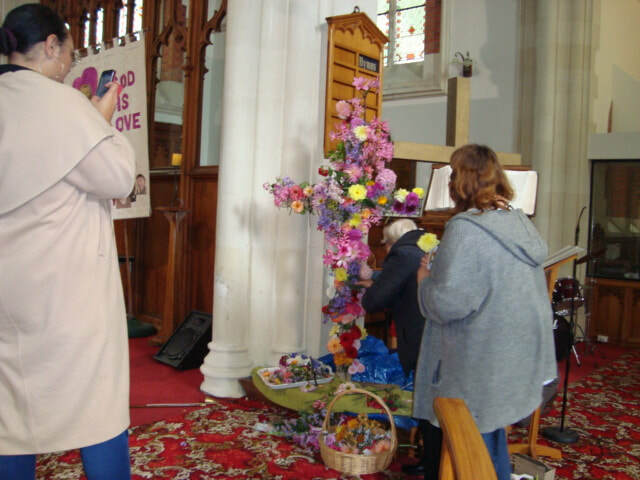 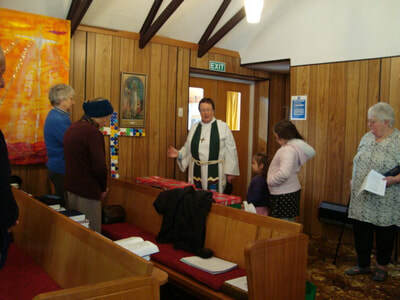 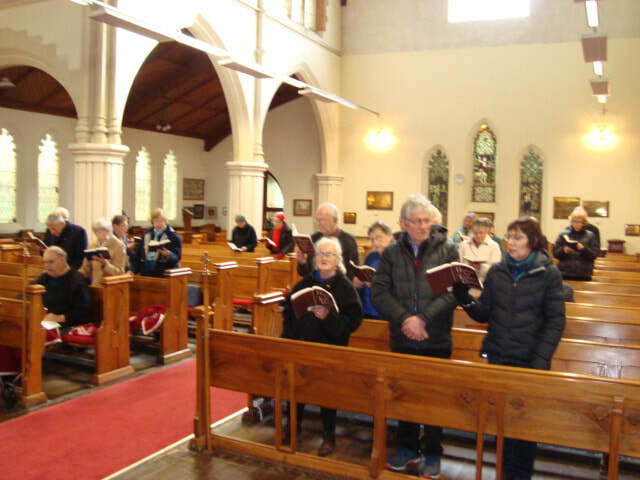 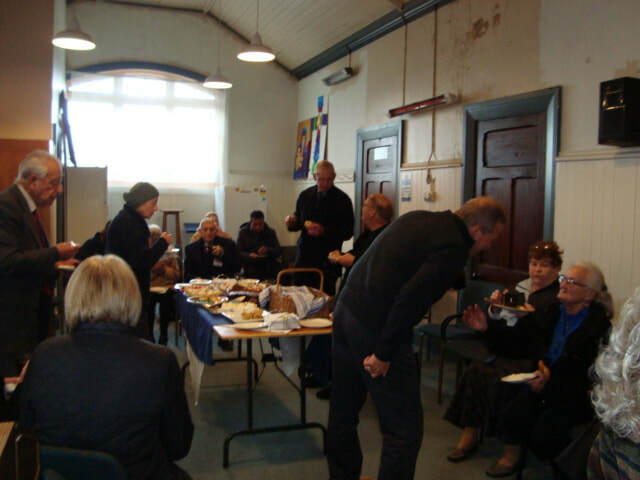 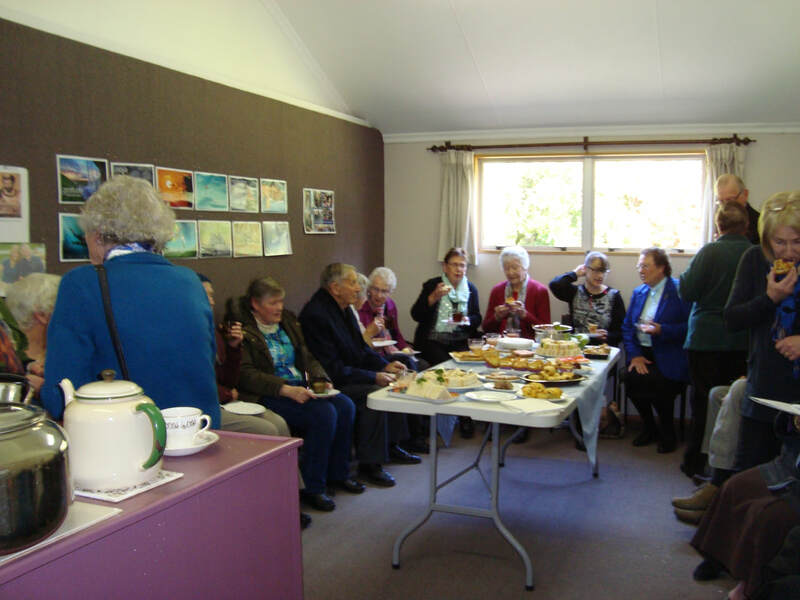 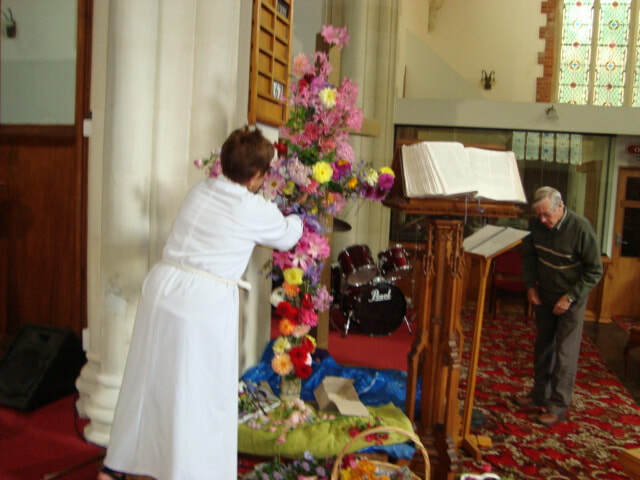 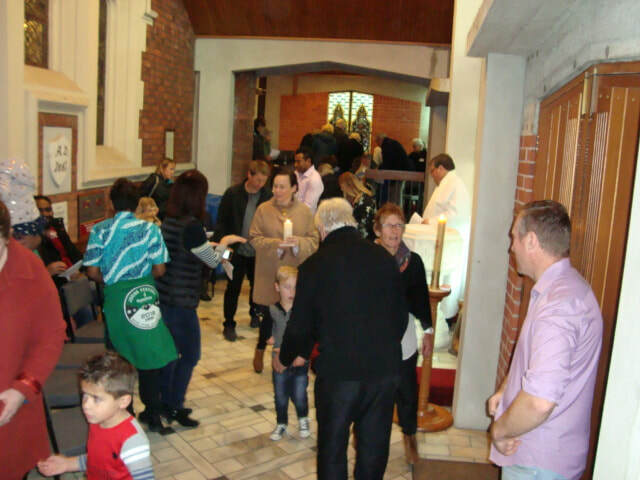 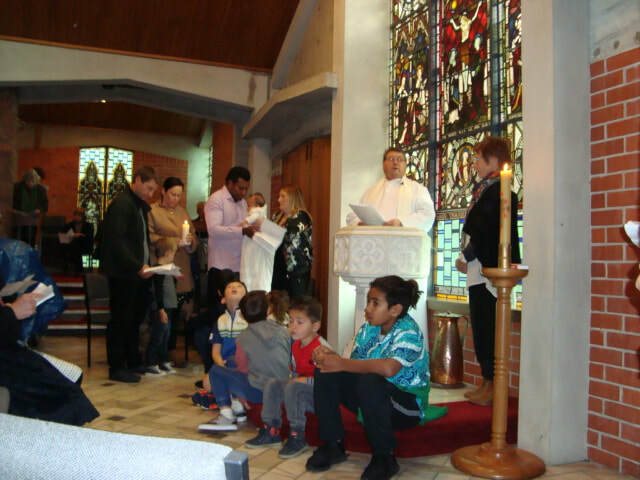 14th October - St Johns Parish celebrate St Lukes Patronal Festival together at Otatara, with a special service and morning tea. 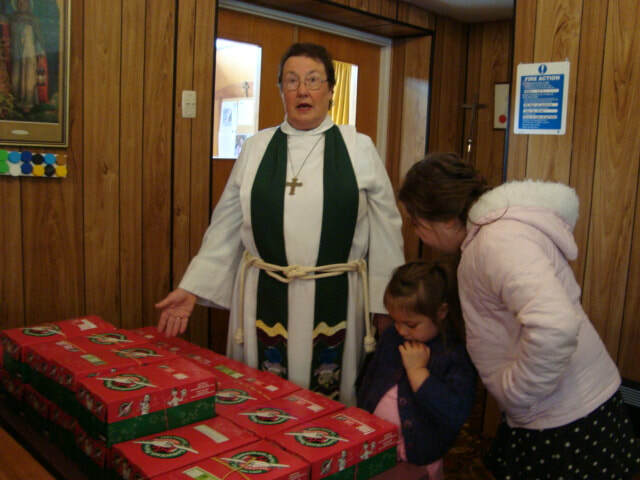 And also Rev Leah blessed the Samaritans Purse Xmas boxes. 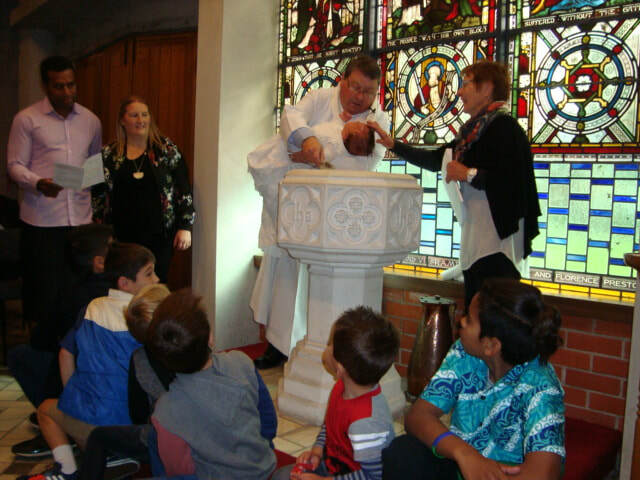 with his baptism - an exciting time for us all. 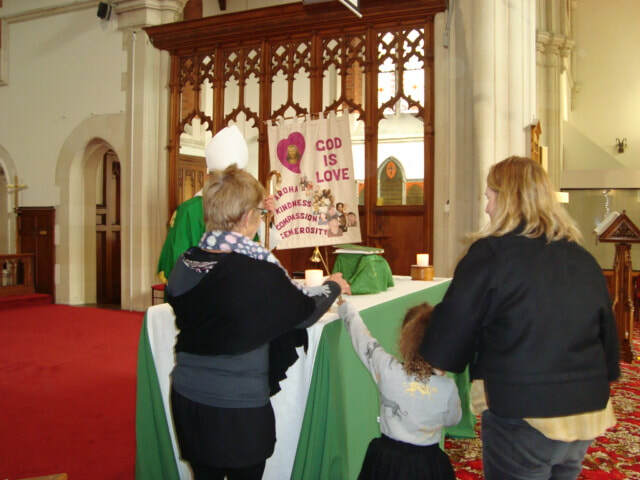 placed his hands on each of them, and blessed them. ﻿My﻿ name is James McGrath and I was born in Timaru on the 22 September 1953. 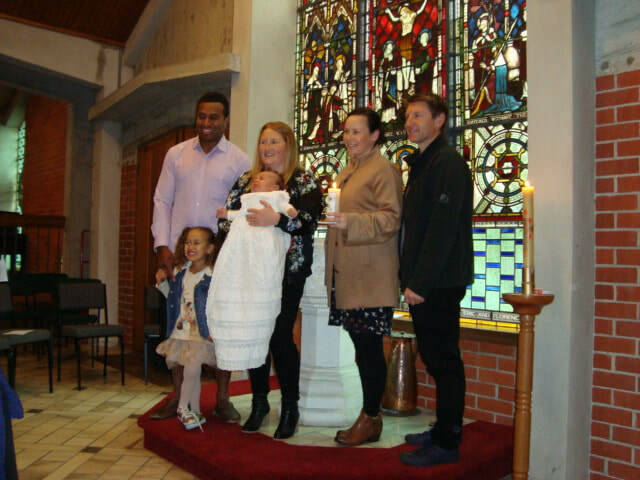 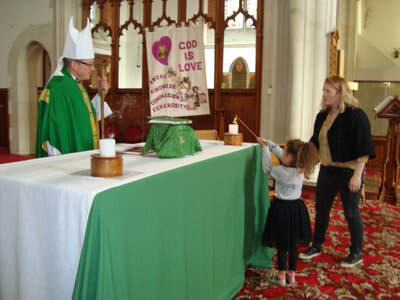 I was baptised four days later as I was not expected to live much longer. 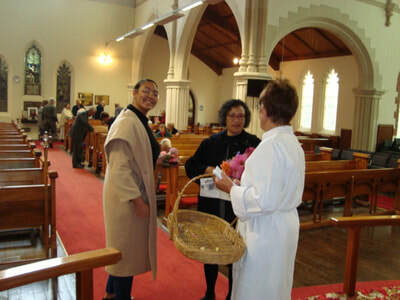 Two and a half months later I was received into the congregation of St Peter’s Kensington/Otipua where I was to remain for the next sixteen years going through the motions as a choir boy and then as a server at the altar and even going through confirmation. Through all this time I never established a personal commitment to Jesus Christ and because of this I eventually drifted away as the world of excitement beckoned. 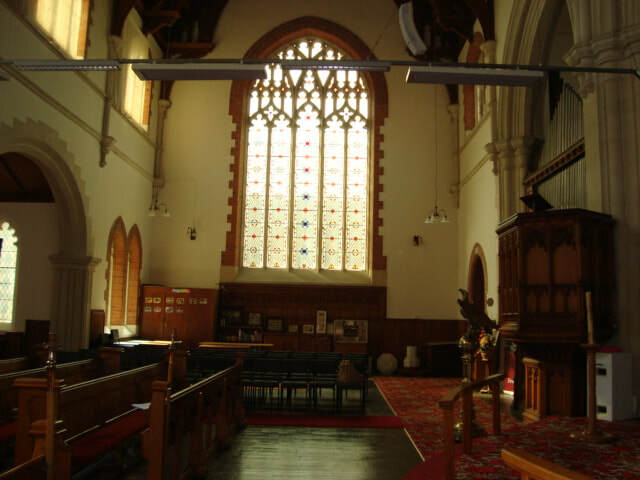 During this time I became an engineer working for Timaru City Council and experiencing a stint as an army territorial soldier. While working in Timaru I met I’va (Eva) and we were married in Auckland in 1977. 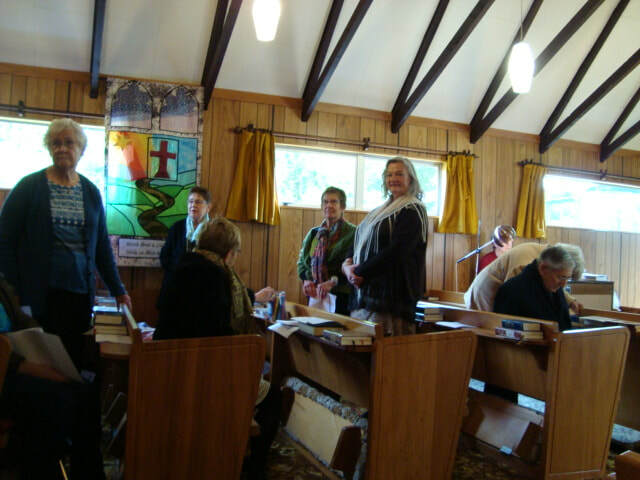 In 1979 we moved to Invercargill where I had a job with Southland County Council where our Son Philip was born. 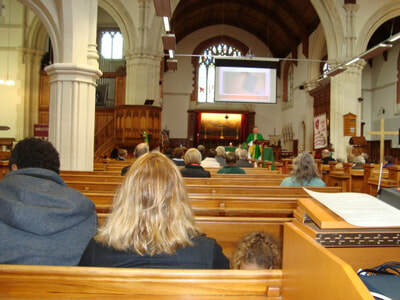 Through this time I had no connection with church of any kind although I had let my wife believe I had. 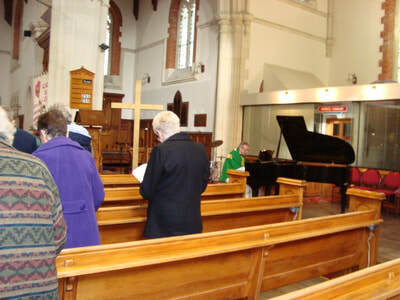 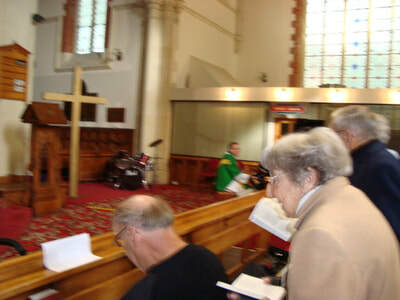 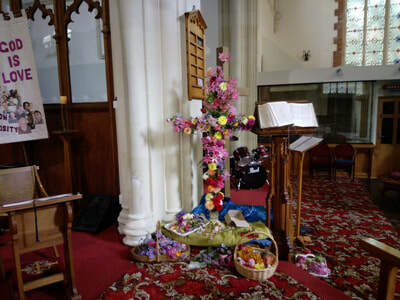 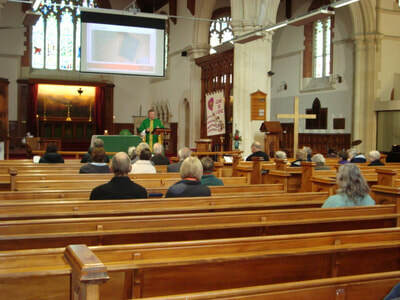 In 1984 in a dilapidated old timber church in Clifton at a funeral God finally caught up with me and I experienced the risen Christ within a small elderly congregation. 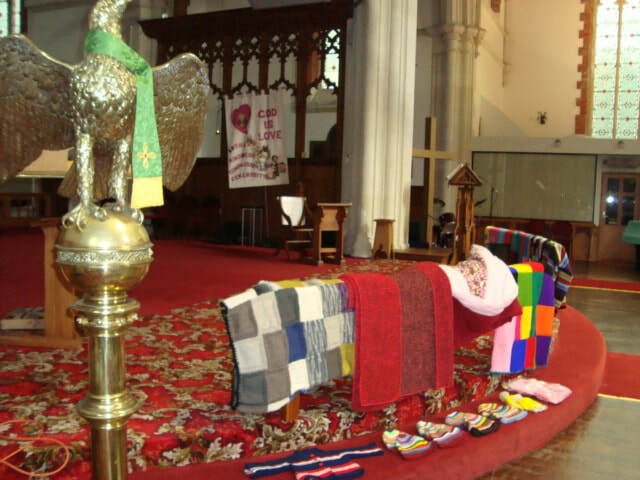 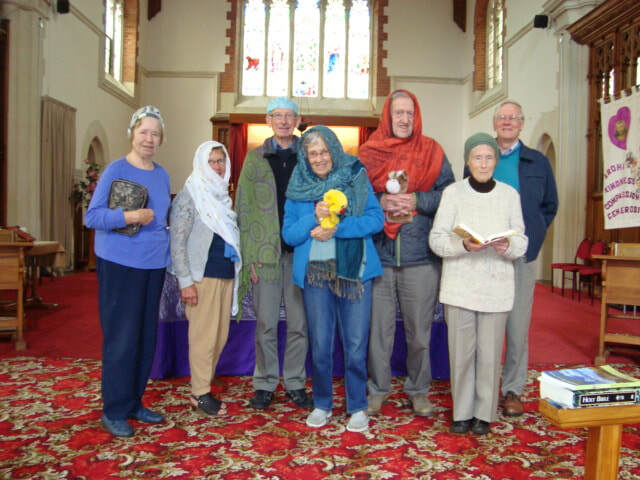 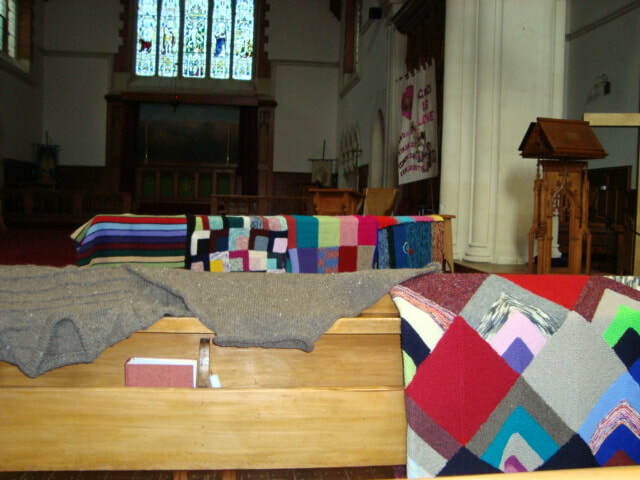 The following year our curate approached me and “suggested” that I should train as a lay minister as the new vicar was keen on developing a lay-ministry team. Since that time I have experienced a child leaving home and the death of my wife in 2008. 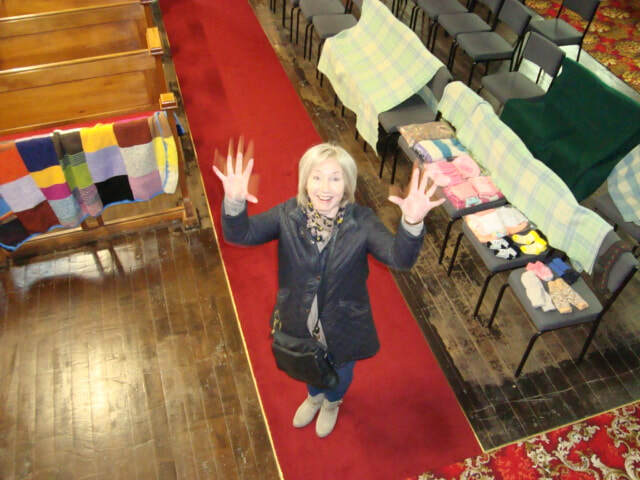 To everyone’s surprise, including my own, I proposed to and was accepted by Barbara Harris and we were married in 2013 and together we embarked on this new journey as a priest assistant at St John’s. 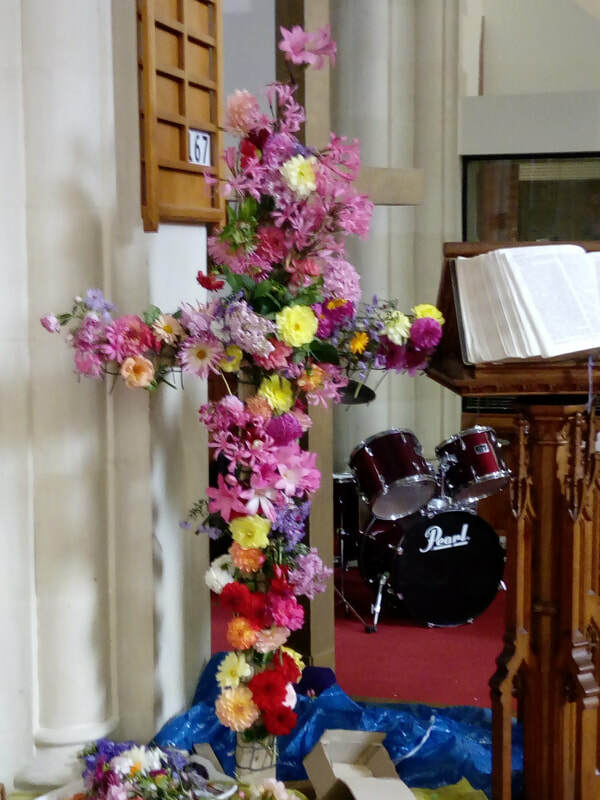 So through many trials, sadness and joys God has been shaping me into the person I am today. 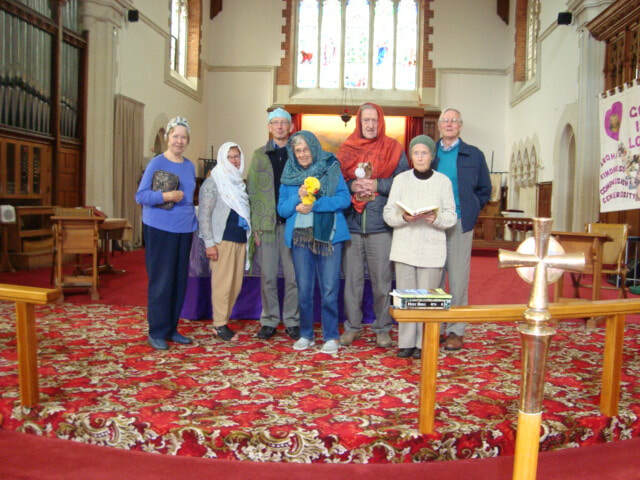 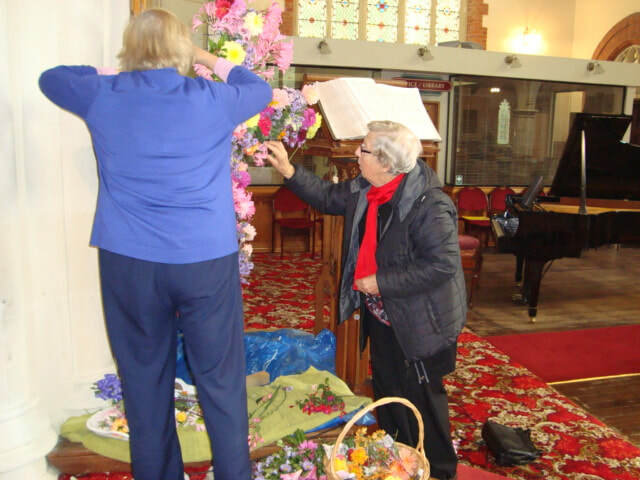 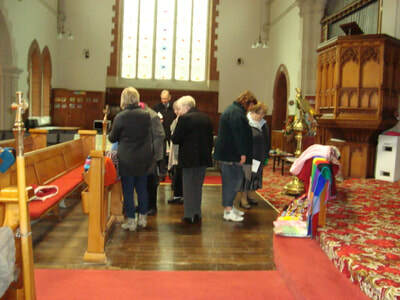 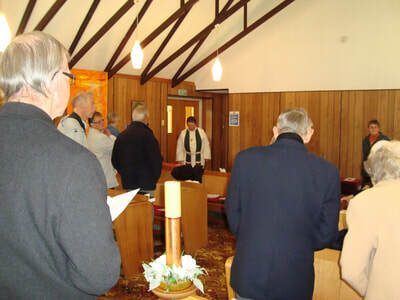 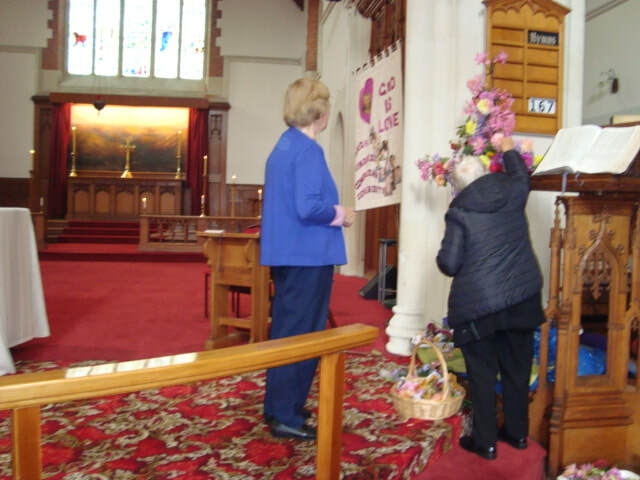 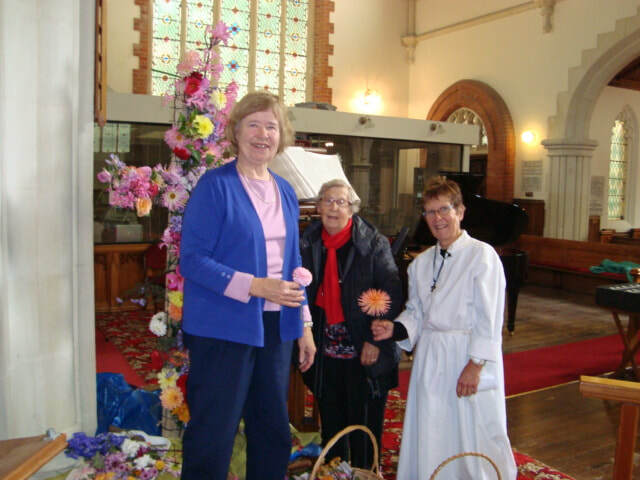 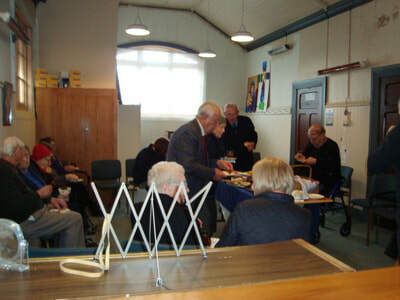 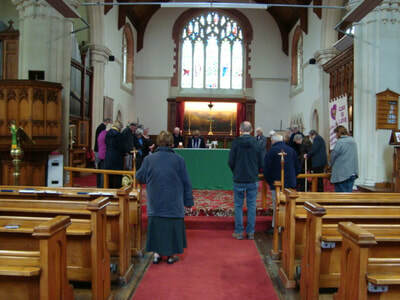 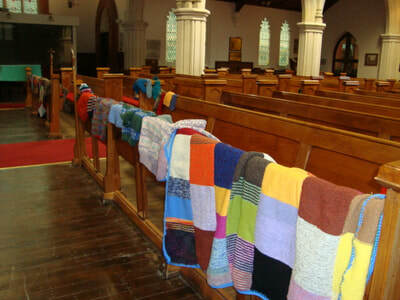 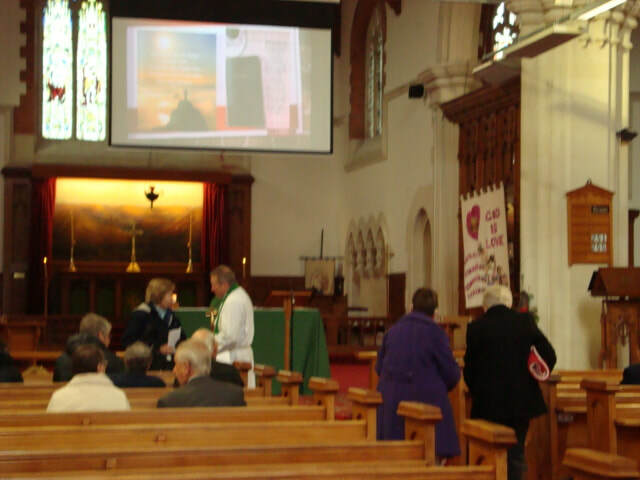 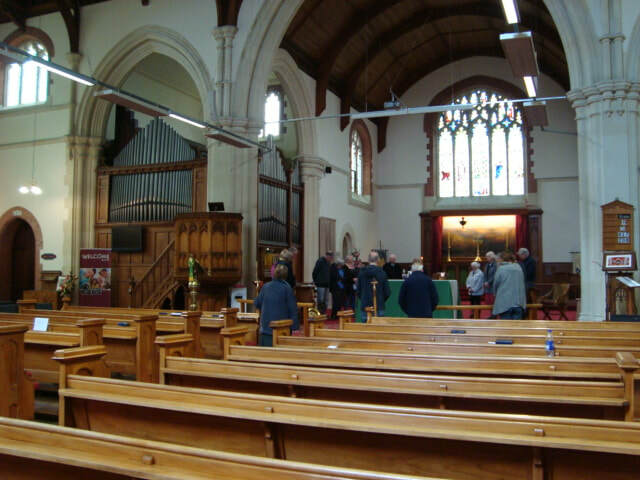 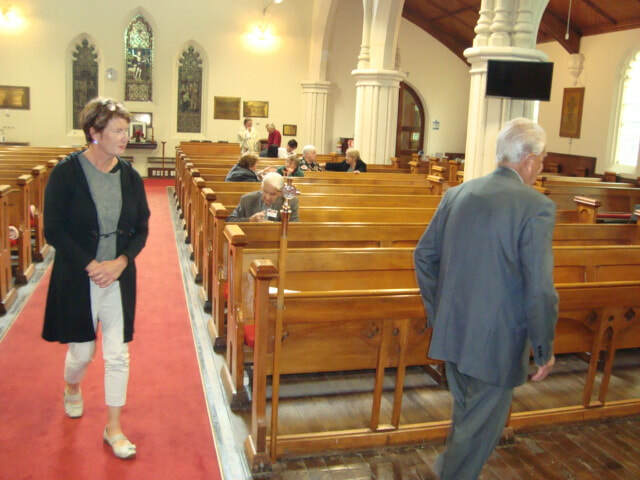 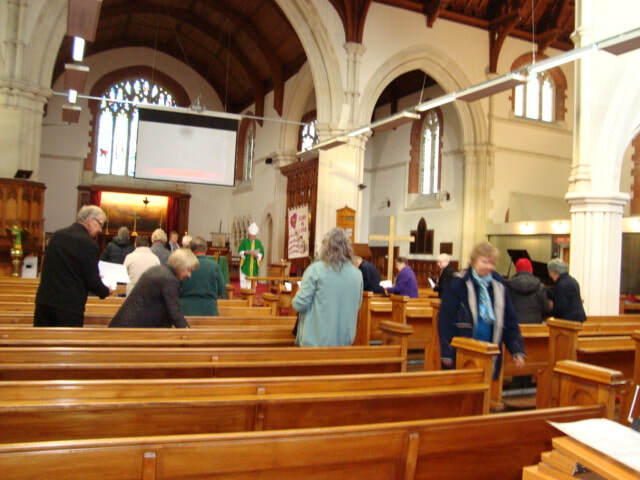 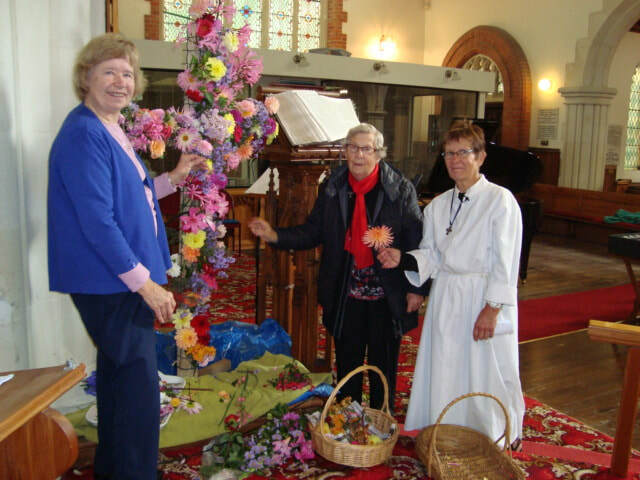 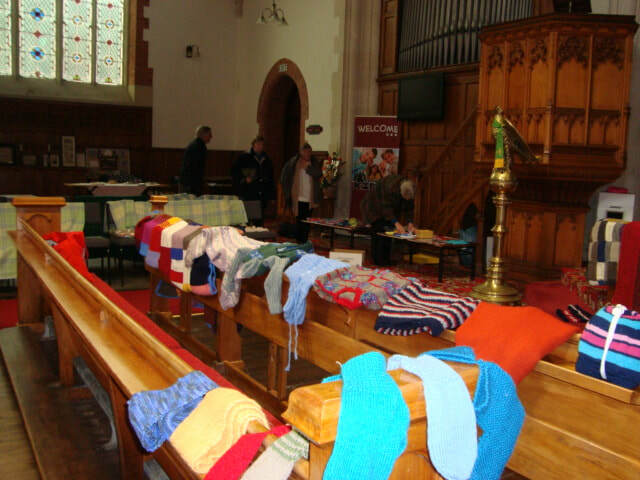 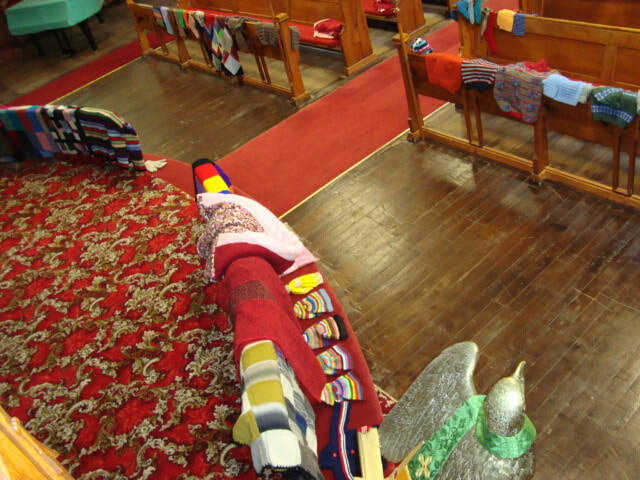 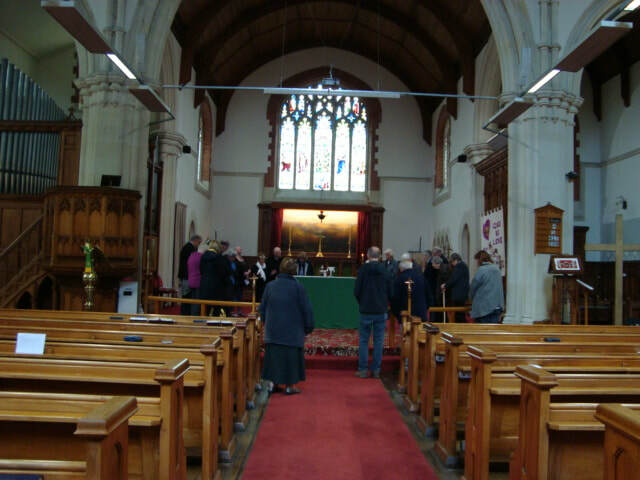 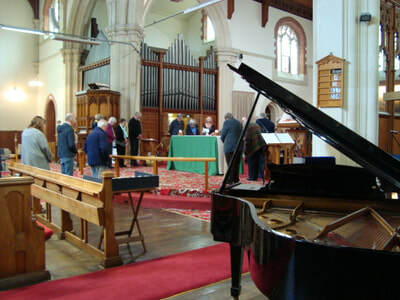 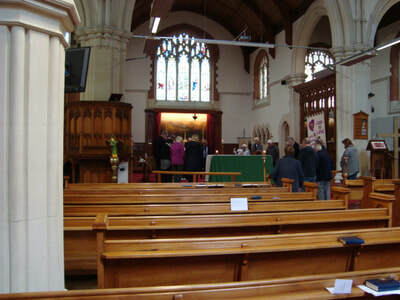 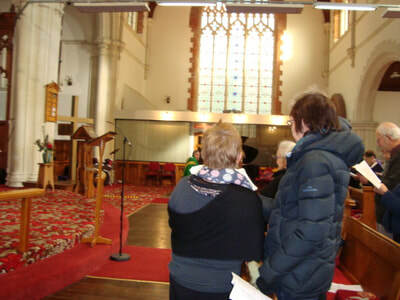 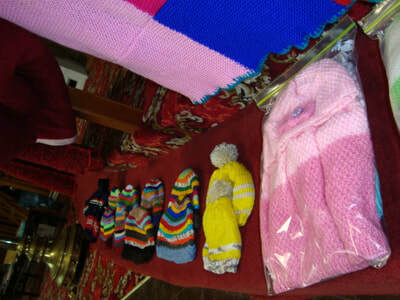 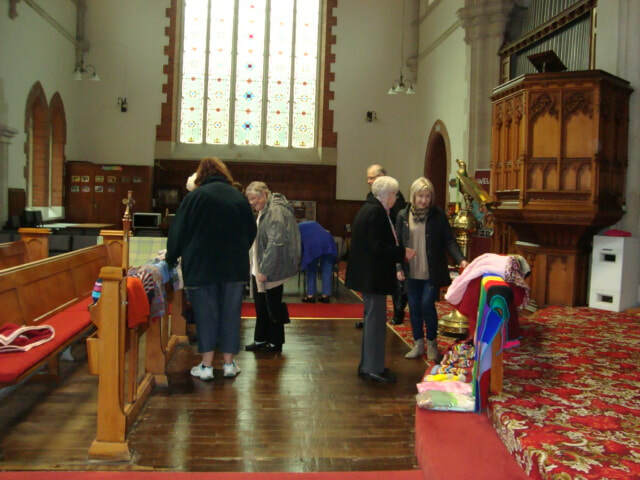 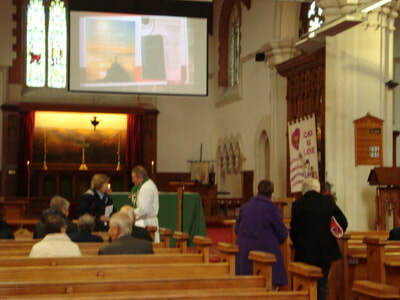 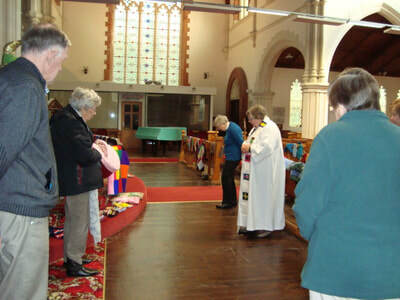 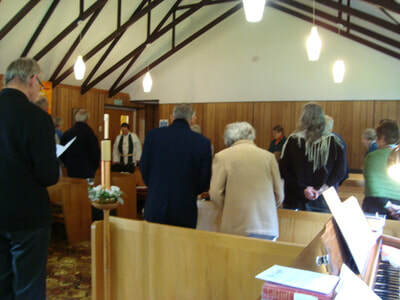 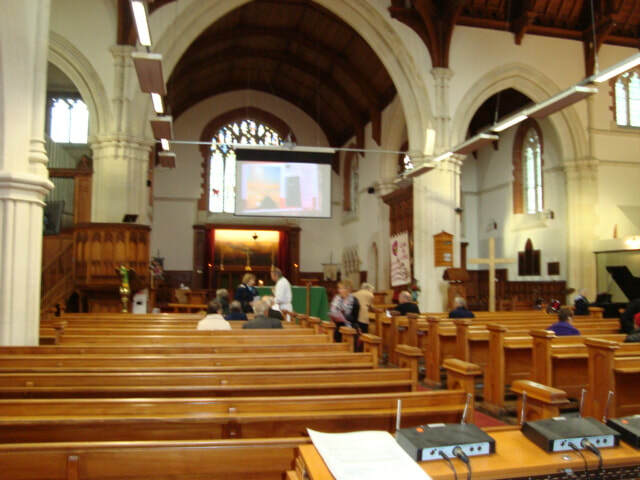 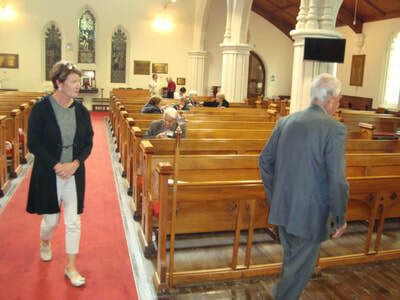 The Parish has two Church Wardens who are appointed each year by the parishioners at the Annual General Meeting. 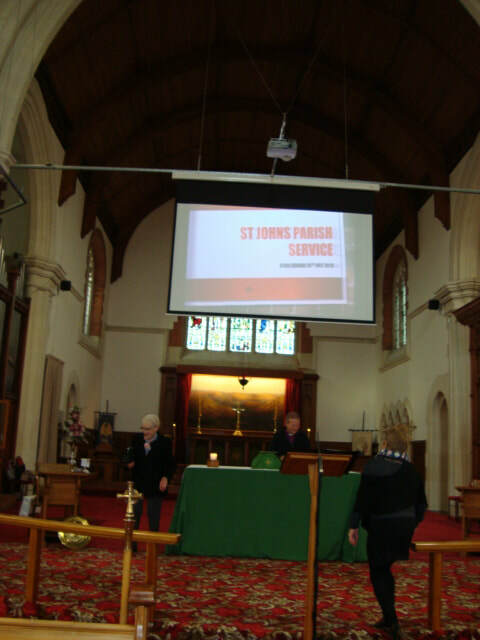 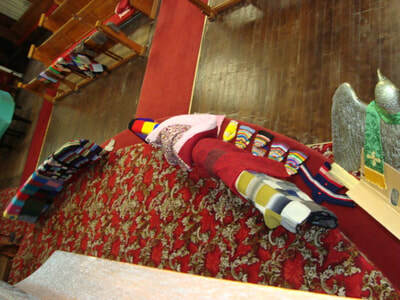 St Johns Parish office has moved to share facilities at Holy Trinity Church in Windsor. 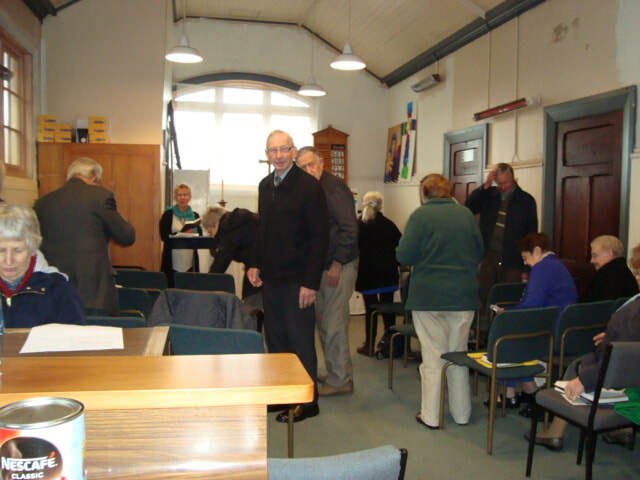 The Parish administrator is in the Office between the hours of 8.00am - Noon every Thursday morning.